Design is a visually appealing medium and plays an important role in many industries, and we challenge teachers and students to showcase their creativity. 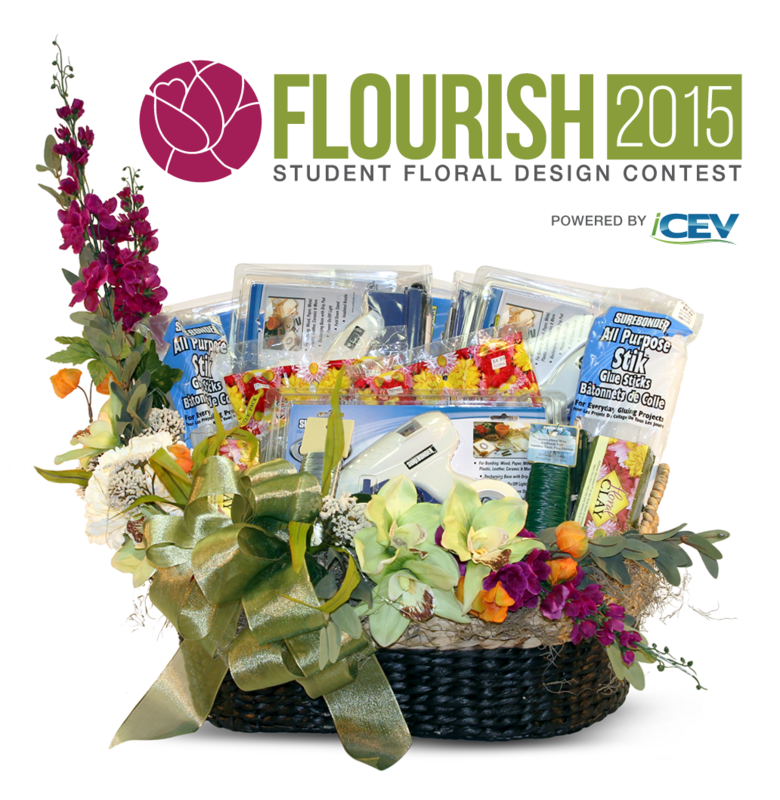 CEV Multimedia, a leading producer of Career and Technical Education (CTE) curriculum services, announces the Flourish 2015 Contest designed to feature and reward the work of students who are participating in a high school floral design course. Floral design teachers are encouraged to submit their students’ work for an opportunity to earn supplies and student scholarships. High School Floral design teachers (grades 9-12) should submit photo entries on behalf of their students enrolled in a floral design course to CEV Multimedia by visiting http://www.icevonline.com/flourish. Uploaded entries will be added to the Flourish 2015 photo album on CEV Multimedia’s Facebook page. Everyone is invited to ‘like’ the entry of his or her choice on the CEV Multimedia Facebook page. 10 finalists will be chosen based on which photo entries receive the largest number of likes by Facebook users. Bill McKinley, Director of Benz School of Floral Design at Texas A&M University, will judge all finalist entries and choose the 1st, 2nd and 3rd place winners. Teachers interested in submitting their students’ work should view the official contest rules and guidelines. Winners will be announced on Dec. 3, 2015. Prizes include: first place teacher will receive $500 in supplies and a guest lecture, first place student will receive a $250 scholarship; second place teacher will receive $250 in supplies, second place student will receive a $150 scholarship; third place teacher will receive $150 in supplies, third place student will receive a $100 scholarship. In April 2015, CEV Multimedia announced its partnership with the Benz School of Floral Design at Texas A&M University to offer the Principles of Floral Design Certification. The certification is comprised of 13 lessons that address key components of the floral business, including history of floral design, flower identification, wedding & special arrangements and flower business management. Industry collaborations are playing an increasingly integral role in all CTE programs by offering hands-on training as students complete their program of study.